First of all, eco-friendly promotional products are made from recycled products so they will really make a great deal in conserving Mother Earth as it will not contribute to environmental waste. 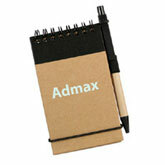 Another great advantage of using eco-friendly promotional products is that they are cost-effective. Since they are made from recycled items, they will most likely cost less than other items. They will not be using the machines used to produce conventional products. Giving out eco-friendly promotional products for marketing purpose will give customers the impression that you are a believer in the cause of saving the environment and the ecological system. This could be a huge factor why customers would buy your products because they will somehow feel that they are contributing to your cause. Offer a free gift. During your event or tradeshow, it will be worth giving them a souvenir after the event. For instance, a biodegradable pen or a solar-powered calculator can be a powerful tool for marketing your business. Make use of the imprint space to include your contact information. Even with an affordable product like an eco-friendly giveaway, it is still possible to make an impact. Show your appreciation. Another way you can use eco-friendly promotional for marketing is as a “thank you” gift. If you have a company newsletter and one of your customers subscribed to it, show your gratitude by sending them a green “thank you” card. Turn Your Eco-Friendly Item To A Coupon. Get some engagement from your customers by converting your green promotional mug into a coupon. For example, by purchasing a green promotional mug, your customer will be able to avail of a free or discounted service. Or you can give them gift certificates to a partner establishment. Promote for a cause. Let your customers know that you are helping the cause of environmental awareness. This will help you make a positive impact on your customers. So give out something that will reflect your environmental awareness cause such as an organic bag, LED flashlights, recyclable notepads, to name just a few. Individuals and businesses must work hand in hand in promoting environmental awareness. By using eco-friendly promotional products during your marketing event, you are not only promoting love for Mother Earth but also making a good impact on your potential customers. There is a plethora of eco-friendly items that you can choose from for your various marketing efforts. Melvin Magadia is a content writer and blogger for Branders selling best buys corporate giveaways. He is a family man, gadgets freak, and a voracious Internet surfer.